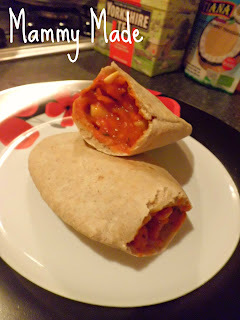 I make this meal quite regularly as the kids love it and it is easy to make. I use dried chickpeas as it works out much cheaper but you can just as easily use tinned. To use from dried you will need to soak the chickpeas in a large pan of cold water for 12 hours. Drain and rinse them well, add them to a pan with plenty of fresh, cold water and boil rapidly for 10 mins. Scoop off any foam that forms on the top. Reduce heat after the 10 mins and simmer for 40 mins or until the chickpeas feel soft. I tend to do 3 cups worth (dried weight) per pan then freeze them in 1 cup servings (cooked weight). They can be cooked from frozen by adding to a simmering sauce for 30 mins until heated through. I always make sure I have a good stock of chickpeas and different types of beans in my freezer as they make cooking a quick, healthy meal from scratch so easy, and much cheaper and healthier than buying tins. Heat some oil in a large pan and cook the onion and garlic for 5 mins. Add the carrot and courgette, along with plenty of black pepper, a pinch of turmeric and a good pinch of mixed herbs, and cook for a further 5 mins. Add the tomato puree, passata and water, stir well then bring to the boil. If using frozen chickpeas, add them to the pan, bring to a gentle simmer then leave to cook for 30 mins. 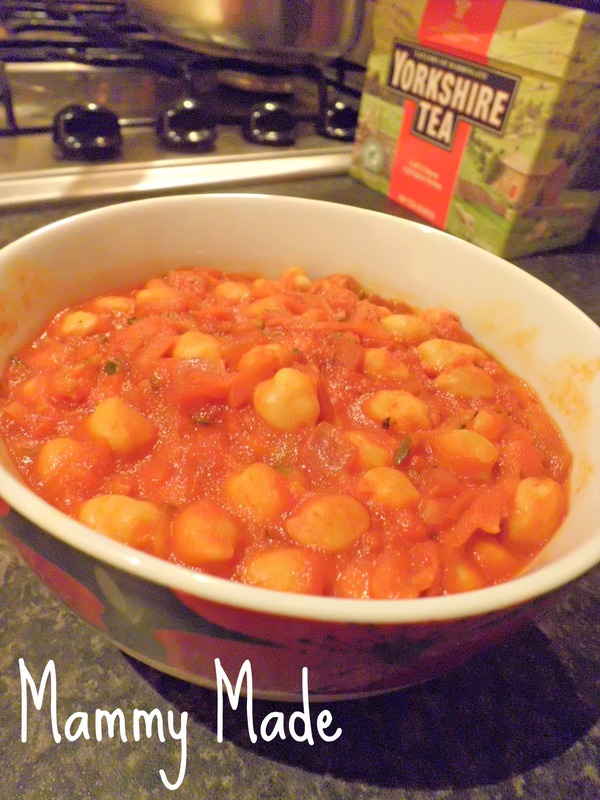 If using tinned or freshly cooked chickpeas, cook the sauce for 20 mins then add the chickpeas for a further 10 mins. Add ¼ tsp chilli powder (or more or less to taste). Remove from the heat and add the lemon juice. I like to chill mine in the fridge for a couple of hours then serve inside a warmed pitta bread with a good dollop of yoghurt. It is also very tasty served hot over rice or with chips.